An excellent starting point for Louisiana Genealogy. Louisiana Genealogy and History Resource Links. Acadia Parish, Louisiana Genealogy and History Resource Links. Free Louisiana Genealogy Data and Links. Allen Parish, Louisiana Genealogy and History Resource Links. Ascension Parish, Louisiana Genealogy and History Resource Links. Assumption Parish, Louisiana Genealogy and History Resource Links. Avoyelles Parish, Louisiana Genealogy and History Resource Links. Beauregard Parish, Louisiana Genealogy and History Resource Links. Bienville Parish, Louisiana Genealogy and History Resource Links. Bossier Parish, Louisiana Genealogy and History Resource Links. Caddo Parish, Louisiana Genealogy and History Resource Links. Calcasieu Parish, Louisiana Genealogy and History Resource Links. Caldwell Parish, Louisiana Genealogy and History Resource Links. Cameron Parish, Louisiana Genealogy and History Resource Links. Catahoula Parish, Louisiana Genealogy and History Resource Links. Claiborne Parish, Louisiana Genealogy and History Resource Links. Concordia Parish, Louisiana Genealogy and History Resource Links. DeSoto Parish, Louisiana Genealogy and History Resource Links. East Baton Rouge Parish, Louisiana Genealogy and History Resource Links. East Carroll Parish, Louisiana Genealogy and History Resource Links. East Feliciana Parish, Louisiana Genealogy and History Resource Links. Evangeline Parish, Louisiana Genealogy and History Resource Links. Free genealogical and historical resources for researchers. Franklin Parish, Louisiana Genealogy and History Resource Links. Grant Parish, Louisiana Genealogy and History Resource Links. Iberia Parish, Louisiana Genealogy and History Resource Links. Iberville Parish, Louisiana Genealogy and History Resource Links. Jackson Parish, Louisiana Genealogy and History Resource Links. Jefferson Parish, Louisiana Genealogy and History Resource Links. Jefferson Davis Parish, Louisiana Genealogy and History Resource Links. Lafayette Parish, Louisiana Genealogy and History Resource Links. Lafourche Parish, Louisiana Genealogy and History Resource Links. LaSalle Parish, Louisiana Genealogy and History Resource Links. Lincoln Parish, Louisiana Genealogy and History Resource Links. Livingston Parish, Louisiana Genealogy and History Resource Links. Search for Louisiana ancestors using this interactive directory of the best free genealogy search engines. Louisiana state project of the USGenWeb. Madison Parish, Louisiana Genealogy and History Resource Links. Morehouse Parish, Louisiana Genealogy and History Resource Links. Natchitoches Parish, Louisiana Genealogy and History Resource Links. Orleans Parish, Louisiana Genealogy and History Resource Links. Ouachita Parish, Louisiana Genealogy and History Resource Links. 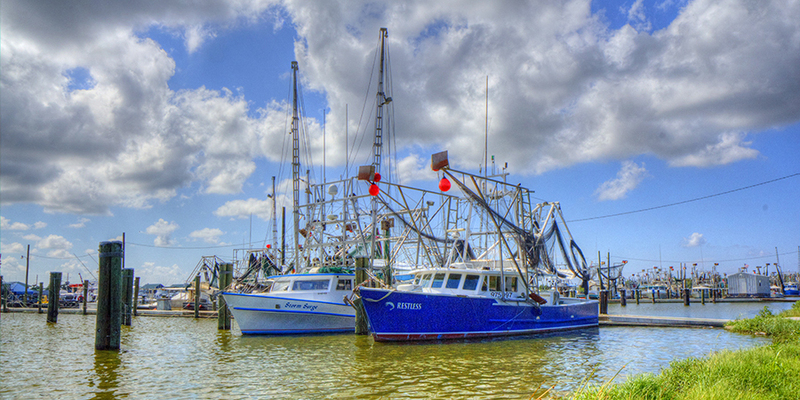 Plaquemines Parish, Louisiana Genealogy and History Resource Links. Pointe Coupee Parish, Louisiana Genealogy and History Resource Links. Rapides Parish, Louisiana Genealogy and History Resource Links. Red River Parish, Louisiana Genealogy and History Resource Links. Richland Parish, Louisiana Genealogy and History Resource Links. Sabine Parish, Louisiana Genealogy and History Resource Links. St. Bernard Parish, Louisiana Genealogy and History Resource Links. St. Charles, Louisiana Genealogy and History Resource Links. St. Helena Parish, Louisiana Genealogy and History Resource Links. St. James Parish, Louisiana Genealogy and History Resource Links. St. John the Baptist Parish, Louisiana Genealogy and History Resource Links. St. Landry Parish, Louisiana Genealogy and History Resource Links. St. Martin Parish, Louisiana Genealogy and History Resource Links. St. Mary Parish, Louisiana Genealogy and History Resource Links. St. Tammany Parish, Louisiana Genealogy and History Resource Links. Tangipahoa Parish, Louisiana Genealogy and History Resource Links. Tensas Parish, Louisiana Genealogy and History Resource Links. Terrebonne Parish, Louisiana Genealogy and History Resource Links. Union Parish, Louisiana Genealogy and History Resource Links. Vermilion Parish, Louisiana Genealogy and History Resource Links. Vernon Parish, Louisiana Genealogy and History Resource Links. Washington Parish, Louisiana Genealogy and History Resource Links. Webster Parish, Louisiana Genealogy and History Resource Links. West Baton Rouge Parish, Louisiana Genealogy and History Resource Links. West Carroll Parish, Louisiana Genealogy and History Resource Links. West Feliciana Parish, Louisiana Genealogy and History Resource Links. Winn Parish, Louisiana Genealogy and History Resource Links.